Armani Collezioni produces this wonderful macro check shirt with a modern fit. 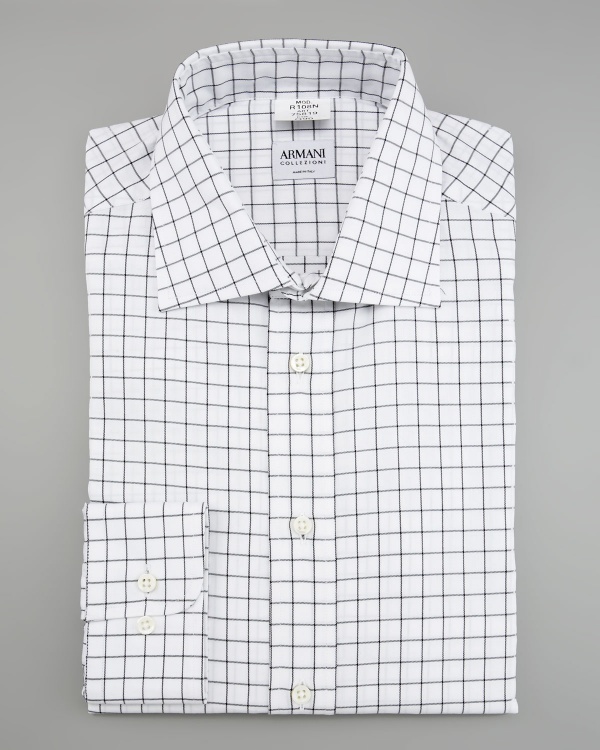 Fine black lines repeat throughout the shirt creating a design reminiscent of tattersall. A charming choice that looks great under a suit or on its own, the shirt is available online now. This entry was posted in Dress Shirts, Tops and tagged Armani Collezioni. Bookmark the permalink.